The practice of law is one that touches on many areas of humanity. Lawyers assist people who are getting a divorce, buying property or facing potential issues with an important business transaction. All lawyers need to demonstrate what they can do for their clients and how they can help them move past any kind of legal issue. 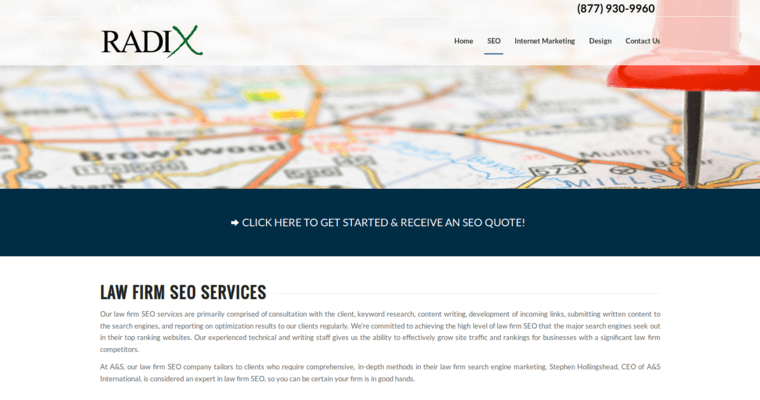 This is where working closely with the experts at Radix is ideal. They know how lawyers can take full advantage of the current modern world and use it to speak to their clients. 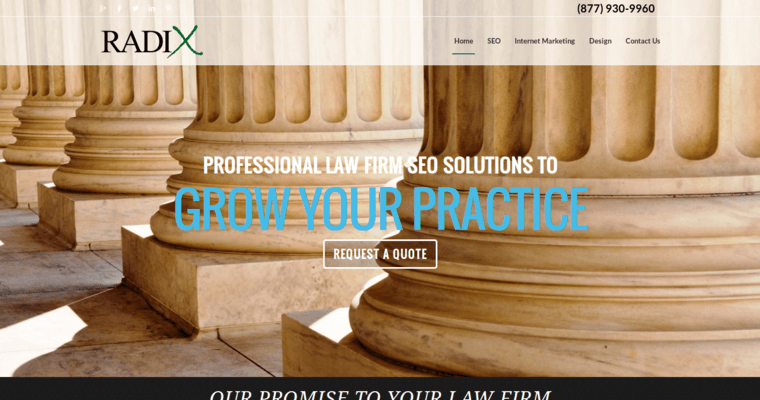 The use of specific concepts such as SEO allows any law firm to indicate exactly what they can do for clients from the second the client sees the firm as part of an online search. This process is one that enables the law firm to establish their reputation as a reliable and useful resource for any sort of legal issue.